As an acclaimed enterprise of the industry, we are offering a broad range of Hydraulic Tilting Aluminium Melting Furnace. The offered product is praised for its high-grade quality and excellent performance that positions our products far ahead of the competitors. In addition to this, a series of tests are performed by our experienced quality controllers after manufacturing this product. This qualitative product can be obtained at industry leading rates. Leveraging on our vast industrial knowledge and experience, we are engaged in offering a broad range of Cube Casting Conveyor Machine. This product is manufactured by our qualified team of professionals using premium quality raw material. Our quality controllers conduct numerous tests on our products in order to ensure that we deliver high grade product to our clients. In addition to this, our product is available in varied sizes, shapes and designs as per market preferences. 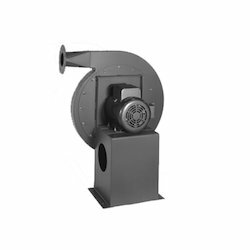 With an aim to fulfil variant requirements of our prestigious clients, we bring forth a comprehensive range of Centrifugal Blower. 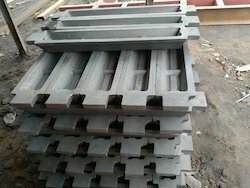 We manufacture this product using premium quality raw material that is procured from reliable sources and contemporary techniques. To ensure its premium quality and long service life, our product is rigorously tested by our quality controllers on various quality parameters. Our product is praised for its trouble-free functionality. Backed by consistent efforts of our dexterous workforce, we are offering a broad range of Oil Heating And Pumping Station. Our team of qualified professionals uses their in-depth knowledge and expertise in manufacturing the offered station so as to maintain set industrial standards. 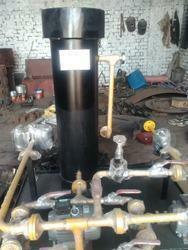 This product is used for the oil transferring purpose in the oil refinery industry. Moreover, the offered station can be purchased at industry leading rates within the promised time-frame. Being a quality-centric company, we are engaged in offering a superior quality Aluminum Ingot C.I. Module . Our offered product is precisely manufactured by our team of qualified professionals possessing wide knowledge in their respective area. In order to fulfil variegated requirements of our clients, the offered product can be obtained in customized options. In addition to this, our qualitative product is vastly acknowledged by our esteemed clients from every nook and corner of the country. Being a prominent organization engaged in offering a qualitative range of Convective Recuperator. Our product is passed through various parameters in order to maintain its adherence to universally set norms. This product is widely used in steel heat-treat furnaces, aluminum melting furnaces, steel galvanizing lines, ceramic and refractory kilns. In addition to this, our offered product has gained exceptional value in the market for defining features. 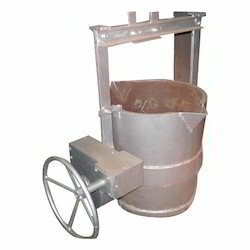 Backed by consistent efforts of our dexterous workforce, we are offering a broad range of Molten Metal Transfer Ladle. Our team of professionals uses their in-depth knowledge and expertise in manufacturing the offered product so as to maintain set industrial standards. This product is available in diverse sizes, shapes and designs as per market preferences. Moreover, the offered product can be purchased at industry leading rates within the promised time-frame. 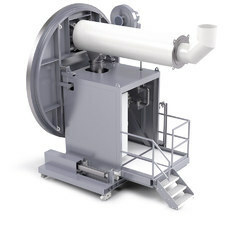 Our in-depth search of the modern market enables us to offer a wide range of the Horizontal Ladle Preheating Station. The offered product is praised for its high-grade quality, enhanced service life and high-efficiency. Moreover, a series of tests are performed by our experienced quality controllers after manufacturing this preheating station. Additionally, the offered product can be obtained at industry leading rates within the stipulated periods of time. Established in the year 2006, we “Bright Furnace Technology,” are recognized among the noteworthy manufacturers and suppliers of a broad assortment of supreme quality Casting Machine, Conveyor Machine, Blower Machine, Oil Heating & Pumping Station, Aluminium Alloy Ingot Casting Plant, Fuel Burner, C.I. Module, Conveyor Belt, etc.These machines are designed and fabricated under the guidance of skilled team of professionals using high-grade components and latest technology in observance with international quality standards. Our team of procuring agents procures excellent quality raw material from only reliable and certified vendors of the market. These products are appreciated for optimum performance, sturdy construction, compact design, easy installation and longer service life. 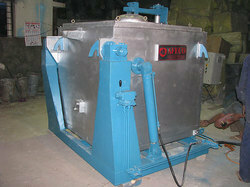 We offer these machines in different specifications in order to meet the variegated needs of the clients. Besides, clients can avail these products as per their precise requirements through our customization facility.